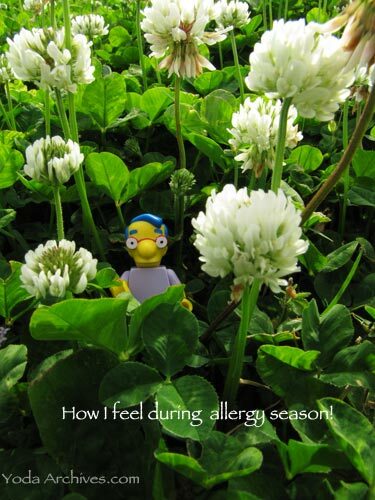 Milhouse Mussolini Van Houten reveals our feeling about allergy season. It’s hard to believe some thing as small as pollen can make us feel so small our selves. Milhouse is one of the new Simpsons LEGO Minfigures ( # 71005).